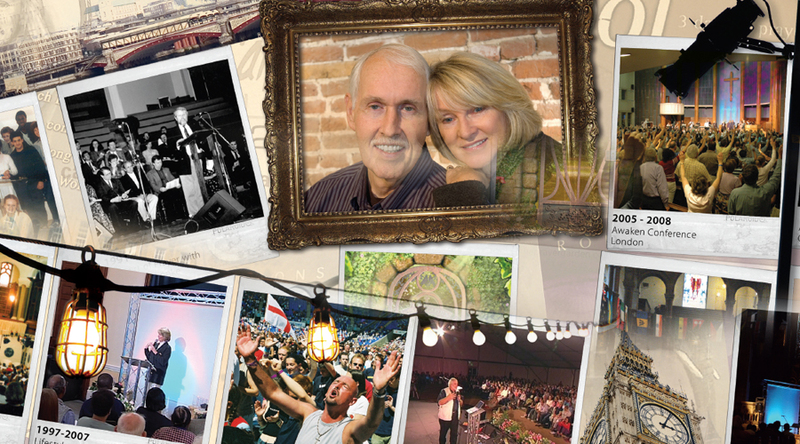 2010 was the celebration of 25 years of ministry. What an amazing journey it has been so far! We’ve been going through old boxes of photos, brochures and resource materials that go all the way back to the early days when Julie held her first “Woman to Woman” meeting in Maidenhead, Berkshire in the mid eighties, the planting of Liberty Christian Centre in High Wycombe and the Liberty Bible Training Centre in both London and High Wycombe. There are so many wonderful pictures of friends, students and events that the Lord allowed us to steward and host. From Prayer Summits, Strategic Prayer Schools, Lifestyle of Prayer to 17,000 at TheCall England in Madejski Stadium, Reading – it’s been amazing to actually review the work we have been invovled in over the last 25 years and to be reminded of the lives that have been impacted in so many ways. We can truly say God has been very good to us! With humility we were reminded of the events where British church leaders and spiritual fathers shared how we have been a spearhead ministry that had led the way in breaking through in many areas of ministry, that are now duplicated throughout the nation by so many others. We’re grateful that the Lord has allowed us as a ministry to introduce anointed prophetic ministers to this nation, who had never been here before, and through gatherings where prophetic worship, intercessory prayer, identificational repentance, prayers for community transformation and other such previously seldom heard of areas of ministry were witnessed. Truly we say to God be the glory for it all! With this in mind we so strongly want to echo our thanks again and again to you. Though its heard often, it is nevertheless true that we simply do not know until we reach heaven the length and breadth of impact of how much your prayers and faithful generosity have helped us to do the work we’ve tried faithfully to steward. The next few pages are just a snapshot of the last 25 years and we wanted to share them with you to say thank you so very much. We are very, very grateful to God for you! May we move from strength to strength together in this new season in God.